Our St. Louis MO CPA firm specializes in IRS tax problem resolution for businesses and individuals. If you have received a notice please call us today at 314-739-2222. We understand tax laws, tax rules and are experts at representing taxpayers before the IRS. We can also help with state and local tax matters. Our St. Louis MO CPA firm is committed to helping you find a fair solution to your tax debt issue. We will work with you to file back taxes, end wage garnishment, avoid property seizure, stop levies and liens and resolve your IRS problems. When you work with our IRS tax problem specialists we will analyze your situation and outline your options for you. We can help solve your IRS problems and end the harassing phone calls. 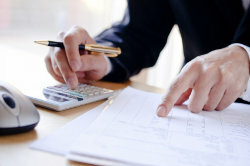 We offer a complimentary, confidential tax analysis. Call us today at 314-739-2222 and tell us how we can help you.